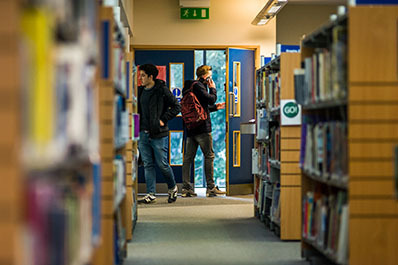 Students studying at AHED have access to the Ashurst Learning Resource centre, which is based at the Sixth Form College campus on Owens Road. You will be given information on how to access the LRC at the start of your course (you will need a college ID badge to enter the building). Ashurst Learning Resource Centre (LRC) - Ashurst Building, Owens Road (SO22 6RX). College holidays: 10.00am - 3.00pm (except Christmas and Summer) - consult the Ashurst LRC intranet page for up to date information. The LRC contains around 17,000 books, over 70 journals and newspapers, DVDs and CDs relevant to the courses studied. Students may borrow a maximum of 8 items for up to three weeks. Extensive on-line resources (e-books, e-journals, multi-media, e-newspapers and databases) are available for students to use both within College and from home. Digital voice recorders, cameras and camcorders are available for loan and televisions are available for students to watch DVDs related to their studies. There are two floors containing over 200 computers and 90 netbooks for students to drop in and use. The Ashurst LRC is also fully wireless enabled and students can bring in their own mobile devices. Any queries regarding the LRC should be directed to Hannah Parratt (LRC Manager) at hparratt@psc.ac.uk. Students will be issued with a college email account and login details to access the college network. All of our Higher Education students, as well as a number of our FE students, will also be able to access resources via our Virtual Learning Environment (Moodle). Click the Moodle icon to the left to access our Moodle login page.